Imagine direct, warm white LED light emanating from an elaborate fixture overhead casting a glow below – completely transforming the mood of the room. That’s where designer Fabrice Berrux, a French lighting designer, comes in. The designer got his start in the late 1980s with a design studio, Societe 18 Août, which created quirky and unusual objects. Later his aesthetic carried over into a lighting design company he helped create with two other designers, named Dix Heures Dix. The lighting company has provided products for art gallery shops all over the world. 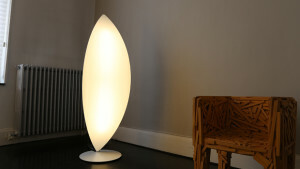 In addition, Fabrice Berrux developed distinctive lighting designs for a high-end French furniture company, Roche Bobois. What makes the lighting that Berrux designs stand out is the use of innovative materials such as Dibond, an aluminum composite material. While the materials are contemporary, so are his techniques of pleating the fabric and using bulbs that change the ambiance of the space. Dix Heures Dix lighting designs are part of many projects all over the world – from town halls in a northwestern town in France, to private houses in Paris and Switzerland, and finally professional offices. The flat structures hang overhead in a draping manner, creating elegant centerpieces. The Dibond aluminum composite material used to create the folded paper effect of the lamps is the more recent work of the interior architect designer. In a way the resemblance of origami creates a striking balance between industrial and artisanal design. The combination allows Dix Heures Dix to offer novel, upscale lighting solutions to a wide range of outlets. 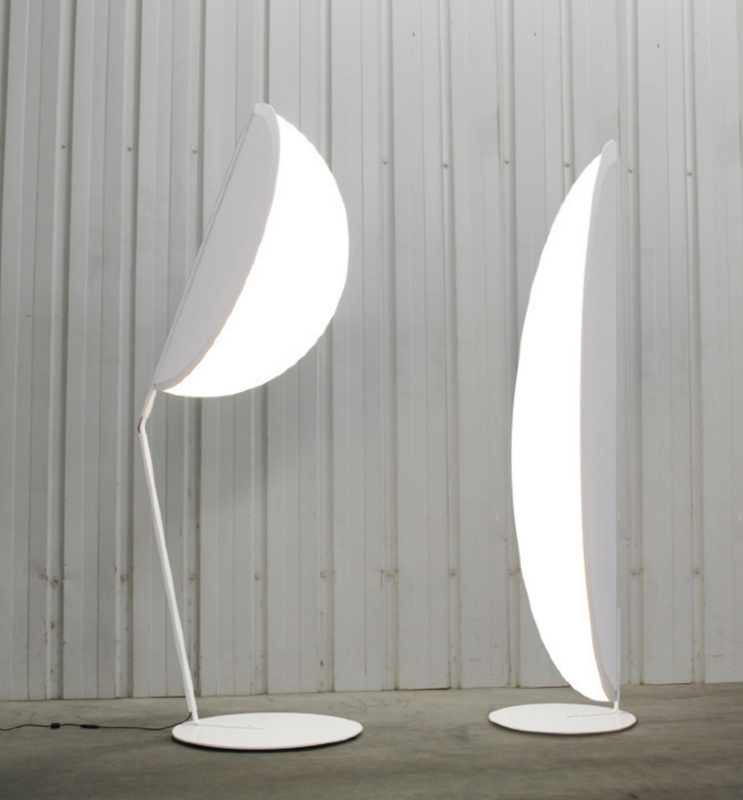 The main inspiration for the folded lamps can be credited to a combination of plant life, art, and fashion. The final effect allows each lighting centerpiece to tell its own story. 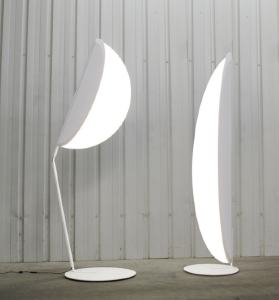 We just have one question for you Fabrice, did your inspiration for the folded Dibond lamp come from a certain carnivores plant?